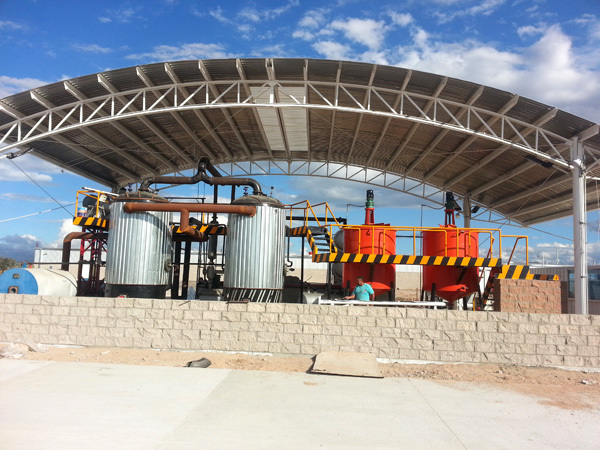 HomeFAQTyre/Plastic Oil to Diesel Distillation Plant How to change used oil to diesel fuel ? If someone asks what the most valuable resource in the world is, oil resource is the best answer without doubt. That is means person who owns oil resource will owns wealth. So people have researched and developed pyrolysis plant converting scrap tires to tires oil.But purity and color of tire oil cannot meet the standard for cars, and it cannot be used for cars directly. On the other hand, there are many used oil appeared due to an increasing of all kinds of vehicles , such as waste motor oil, used engine oil and lubricating oil. 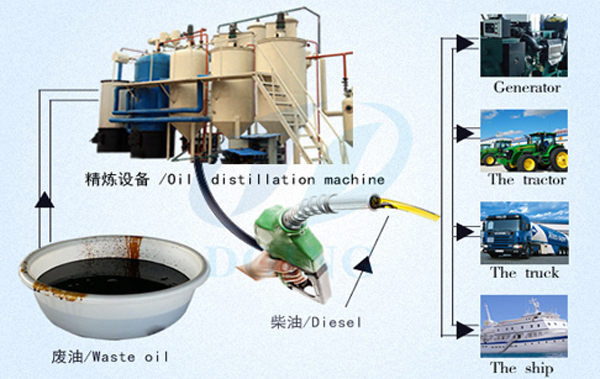 How to change used oil to diesel fuel ?Distillation technology is emerged, many companies supply used oil to diesel fuel machine for used oil disposal. 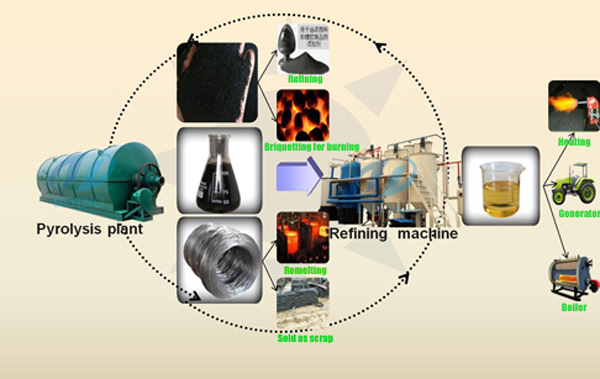 Henan Doing produced used oil to diesel fuel machine working process plant can refining waste oil(waste engine oil,motor oil, tyre oil, plastic oil etc) to clean diesel. The oil recovery yield is about 85% ( according to oil quality). Cost. The price of re-refined oil is comparable to that of virgin oil. In some cases, it costs less. Performance. Tests after the test showed that the refined non-standard diesel oil has the same performance as the national standard diesel. Who is using it? Non-standard diesel fuel obtained by used oil to diesel fuel machine can be used for heavy machinery, generators, and boilers. Through feedback from customers, the refined diesel can reach the standard of No. 6 diesel at the local gas station and is directly used for the diesel supply at the immediate gas station. prev: How to clean used motor oil for fuel? 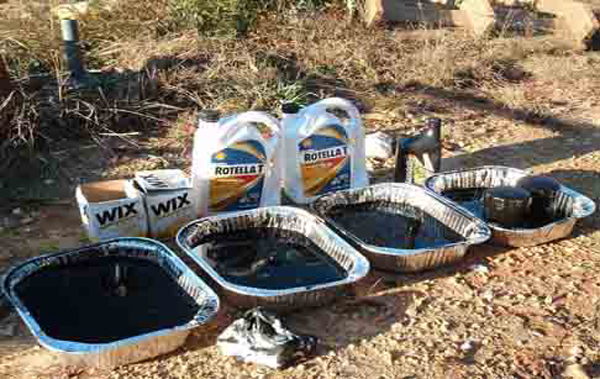 Next: How do you properly dispose of used motor oil?